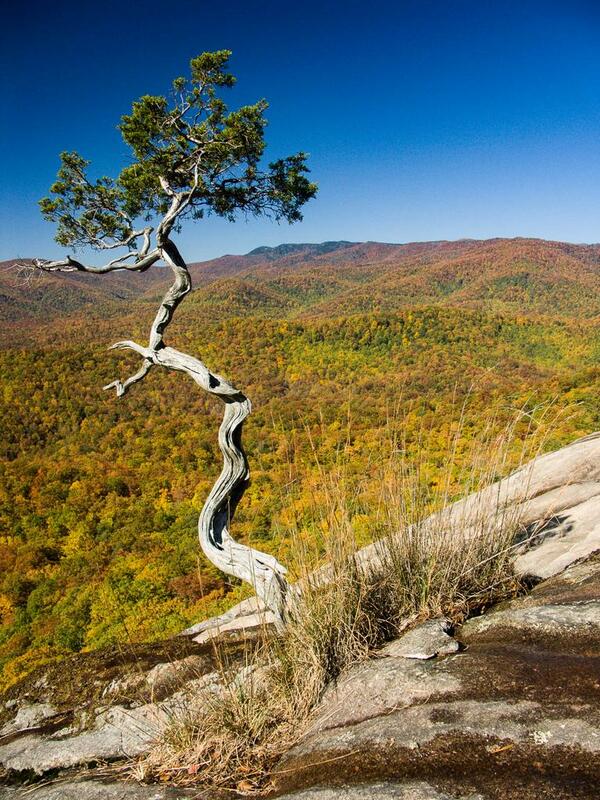 This twisted cedar barely clings to life on the face of Looking Glass Rock. Like a bonsai, it has been sculpted by nature into its odd shape. Its roots found a small patch of soil in grass, fed by a small trickle of water flowing over the rock face.